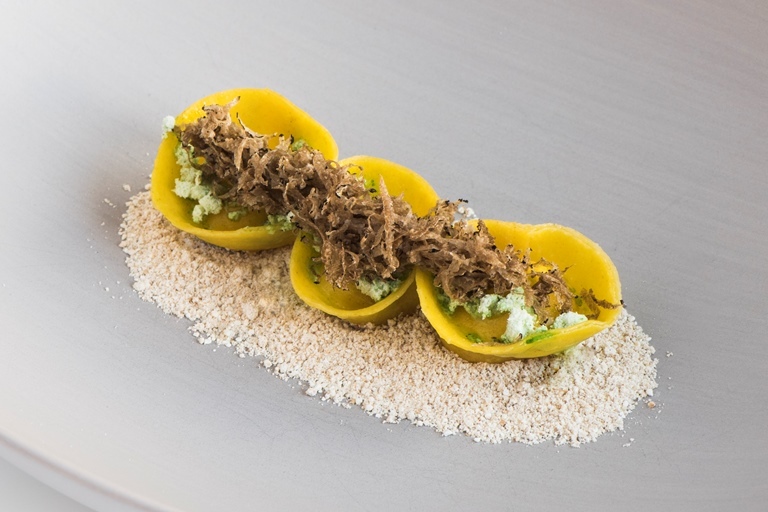 This elegant tortellini recipe by Heinrich Schneider features an unusual combination of pearl barley powder, pine oil and truffle. The tortellini itself is stuffed with a creamy cheese filling made from Vinschger, a semi-hard cow's milk cheese from South Tyrol known for its rich flavour and spicy aroma. With the vibrant addition of pine oil powder as an aromatic garnish, this dish celebrates the flavours of the South Tyrolean region.